The wall and the moon landing, Beatlemania and miniskirts, student protests and Woodstock - the 1960s was a decade of unprecedented change. Political, social, cultural and aesthetic upheavals left no-one unaffected. They left their tracks in the world of design, too - creating fresh ways of thinking and releasing unbelievable creativity. To put it another way, the 1960s was the decade in which design definitively established itself as a force that moved all strata of society, influenced their buying decisions and found a natural, identity-determining place in everyday society. While the solid, unemotional, functional design of the fifties was defined by the war years, the 60s looked forward to the future. Instead of 'no experimenting', the motto in the design world was now 'everything is possible'. This optimism was driven by technological progress, economic recovery and a young, well-paid generation that longed not only for emotional, but also visual sensuality. Imaginative forms, bright colours and new materials in interior design were in demand, as were alternative lifestyles, hallucinogenic substances and pop music. Essentially, going against the establishment and its traditional taste was paramount. People started to reject the structured tailoring of the fashion industry, and values such as stability and functionality no longer had a primary role to play. The Pop Art movement was not alone in its desire for a new aesthetic that was deliberately ephemeral, mass-produced, humorous and ironic. The lightweight, flexible 60s like the Sacco Beanbag by Zanotta reflected the youth's fascination with mobility and light heartedness. The new synthetics made it possible to mass produce cheap products. People no longer decorated for the rest of their lives, but started following current fashions that designers gladly provided. 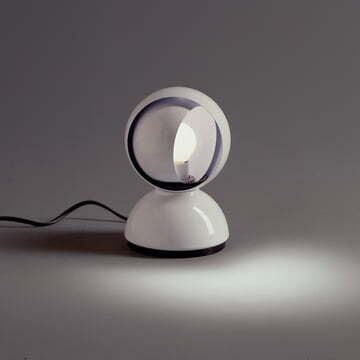 The result was a real design boom, from which the Italian design manufacturers mostly benefited. 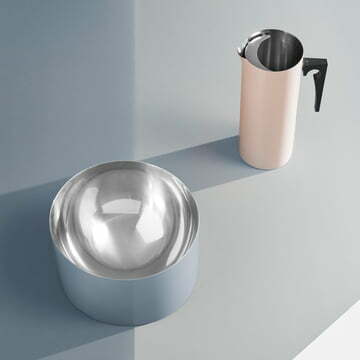 Designers like Ettore Sottsass, Joe Colombo and Anna Castelli Ferrieri designed brightly coloured everyday objects made from ABS plastic for Kartell, Danese and Artemide, whose shapes corresponded to the latest state of technology. Inspired by the possibilities of the new synthetics, Verner Panton created the Panton Chair, one of the most famous designs of the sixties. The faith in the new synthetics remained unbroken as it was further emphasized in the space age look. The race for the conquest of space had a great impact on people in the mid-sixties and thus also on fashion and design. The question of how one wanted to live in the future, brought forth futuristic designs and manifested itself in the first half of the 1960s through geometric shapes. Movies like Barbarella with Jane Fonda and Stanley Kubrick's 2001 - Space Odyssey showed fantastic white and silver space worlds with softly rounded plastic furniture. 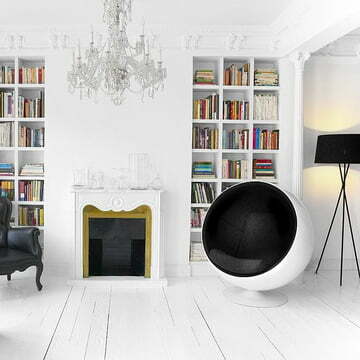 The Ball Chair by Eero Aarnio, the Eclisse Table Lamp by Vico Magistretti and spherical radios or televisions brought the Space Age into the terrestrial living rooms. As Neil Armstrong set foot on the moon in 1969, the attention of the youth had already moved on to other topics. Students worldwide were taking measures against outdated power systems and the blatant materialism of consumers was seen as critical. Technological progress not only brought forth enthusiasm, but also concerns as the Cold War fuelled fears of a nuclear disaster. In design, this development was expressed with a neo-organic, psychedelic style, which replaced the geometric shapes. With his Visiona II Fantasy Lanscape, Verner Panton created a space, which broke down the traditional conventions and the geometry of the floor, ceiling and walls. Warm, soft, amorphous and colourful, the modules could be changed, so as always to create new perspectives. From Italy came further momentum. Once again, the Anti-Design movement with Ettore Sottsass at their head turned against the impersonal industrially manufactured, materialistic consumer products, which had dominated the first half of the decade. 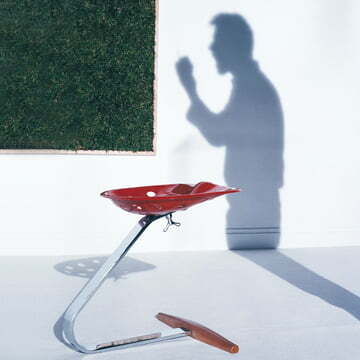 The claim was now that design objects provoke the intellect and should challenge the perception of the users. In prototypes and manifestos, the Italian designer explored the cultural potential of design and presented kitsch, irony and wrong proportions as a reaction against perfectionist aesthetics of modernism. These characteristics would later become the trademark of postmodern design and influence the Memphis movement. As a further response to the lavish lifestyle previously celebrated, the environmental movement arose in the late 60s, advocating environmental sustainability through the Club of Rome's book "The limits of growth". This was accompanied by a renaissance as people returned to the crafts, studio glass, ceramics, and hand-woven rugs. The oil crisis of the early 1970s did the rest for a revaluation of plastic. From the consumer revolution at the beginning of the decade to environmental awareness, Flowerpower and anti-design - the design world in the 60's took various forms and standpoints. In retrospect, it can be said with certainty that the 60s was the era that put an end to the grey post-war period. Experience a revival of the 1960s with our classic designs from the "Sixties" below. Danese Milano The Italian design manufacturer Danese Milano has been one of the trailblazers in the triumphal procession of Italian design since 1957. 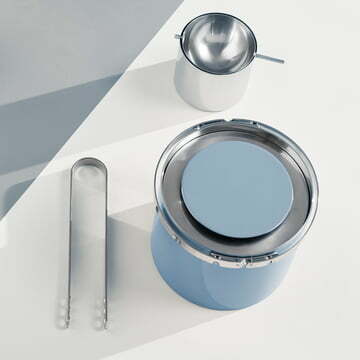 Gufram Gufram was founded in 1952, with the production of Design objects starting in 1966 from which, in 1971, products were selected to be part of the "I Multipli" collection, nowadays produced as a limited edition. Kartell Kartell, founded in 1949 by Giulio Castelli in Milan counts as one of the traditional Italian design companies today next to Alessi, Brionvega, Danese or Flos. 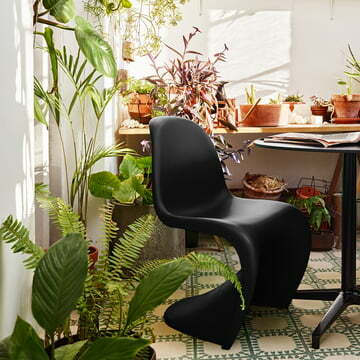 Above all, Kartell is regarded as one of the pioneer companies in plastic furniture production. Müller Möbelwerkstätten The furniture collection from Müller Möbelwerkstätten has been formed in cooperation with world-famous designers. The stacking lounger by Rolf Heide has been extremely successful in the last decades. Zanotta Zanotta was founded in 1954 and is now a leading business in Italian design. In the 60s, Zanotta entered the spotlight of the design scene for the first time, and since then it has never left the stage. Dorothee Becker Dorothee Becker, born in 1938 in Aschaffenburg, Germany, studied in languages before she went from London and Paris in 1960 to California and became creative. 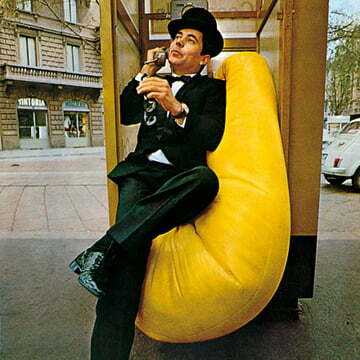 Gatti, Paolini, Teodoro When the three Italian designers Piero Gatti, Franco Teodoro and Cesare Paolini came together in 1965, they could hardly wait for creating a legend only three years later – their seat bag “Sacco” is known as the first beanbag of the world.